Do you want to know how to configure your WordPress website with Google Search Console? Making sure Google sees your website and shows it in search results is the first step to driving traffic to your site, boosting conversions, and growing your business. After all, if Google doesn’t know your site exists, no one else will either. 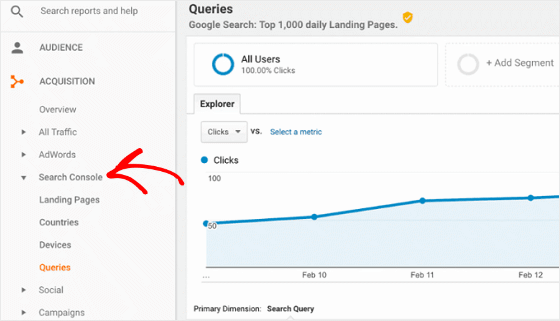 In this article, we’ll show you how to add your website to Search Console so you can monitor your site’s presence in Google search results. Google Search Console, which used to be known as “Google Webmaster Tools,” is a free service available to all website owners. It shows you how Google indexes and adds your website to Google search results, so you can make sure the right people are seeing your site. In other words, Google Search Console is just another helpful tool for that gives you information about your website and the people visiting it. To set up Google Search Console in Google Analytics, log in to your Google Analytics account and click the Admin tab on the bottom left-hand side. Next, scroll down to the bottom of the screen and click on the Adjust Search Console button. On the next screen, click Add. You will then see a screen that shows all of your websites. Select the one you want to add and click the Save button. 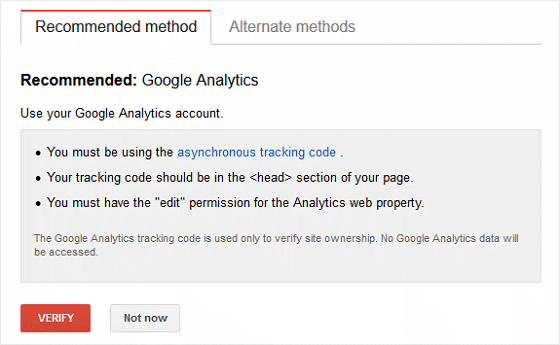 Now you’ll need to verify the website you’ve added to Google Search Console in Google Analytics. Before you can see you site’s Search Console data, you need to prove to Google that you’re the owner of your website. 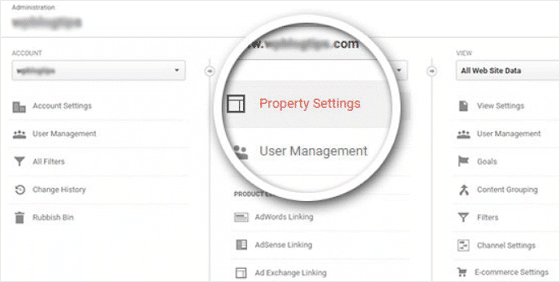 To start, go to Google Search Console, sign into your Google Analytics account, and click the red Add a Property button. Add the exact URL of the website you added to Search Console and click Add. Under the Recommended method tab, click Verfiy. You’ll see a success message once the verification goes through. And that’s it! Your website is now connected to Google Search Console. 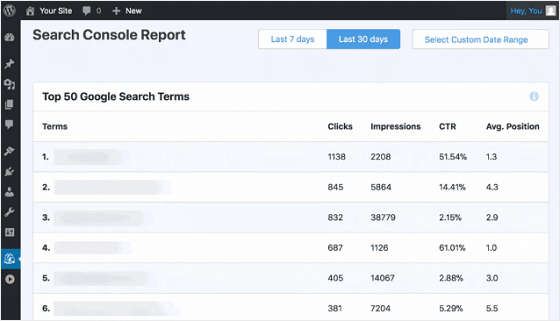 You can now begin viewing Search Console data. To view your Search Console data in your Google Analytics account, go to Acquisition » Search Console. Lastly, you can use the MonsterInsights plugin to view your Search Console Report right from your WordPress dashboard. Start by going to Insights » Reports. From there, click on the Search Console tab. This gives you a good idea of the keywords that are bringing people to your website and whether people are finding what they’re looking for once on your site. It also shows you the position your keywords are ranking for in Google, which is the whole point of focusing on SEO. And there you have it! An easy way to configure your WordPress website with Google Search Console so you can make sure your site is not only showing up in Google search results, but is showing up in the right places. If you’re looking for great ways to improve on your overall SEO strategies in an effort to drive even more traffic to your site, check out our post on Google Analytics SEO hacks designed to bring more organic traffic to your site.